In the New Kingdom of Egypt, the Medjay (also Medjai, Mazoi, Madjai, Mejay, Egyptian mđʔ.y, a nisba of mđʔ,) were an elite paramilitary police force, serving as desert scouts and protectors of areas of Pharaonic interest. The Egyptian term mđʔ from which the name "Medjay" was derived originally referred to a region in northern Sudan and southern Egypt inhabited by an ancient nomadic tribe of Nubians who were employed by the Egyptians as mercenaries. They formed a complex public administration very similar to a national police force. Gradually, the term came to describe their force itself. During the Middle Kingdom of Egypt, ancient Egyptians were appreciative of their skill in combat, and therefore employed them as gauchos, infantry soldiers and explorers to spy on foreigners at the borders. During the Eighteenth Dynasty, the Medjay were referred to as an urban police with a separate hierarchy independent of other authorities. The Medjay are no longer mentioned after the Twentieth Dynasty (1189–1077 BCE). The first mention of the Medjay in written records dates back to the Old Kingdom, when they were listed among other Nubian peoples in the Autobiography of Weni, who was at the time a general serving under Pepi I Meryre. During this time the term "Medjay" referred to people from the land of Medja, a district thought to be located just east of the Second Nile Cataract in Nubia. A decree from Pepi I's reign, which lists different officials (including an Overseer of the Medja, Irtjet and Satju), illustrates that Medja was at least to some extent subjugated by the Egyptian government. 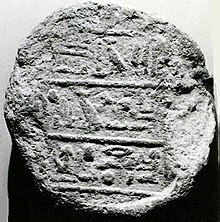 During the Middle Kingdom, the definition of "Medjay" started to refer more to a tribe than a land, (although references to Medja-land do exist). Written accounts such as the Semna Despatches detail the Medjay as nomadic desert people. As itinerant peoples, they worked in all parts of Egyptian society, as palace attendants, temple employees, merchants, and more. The Medjay worked in Egyptian fortifications in Nubia and patrolled the desert along with other Egyptian soldiers, like the Akhwty. They also were sometimes employed as soldiers (as we know from the stele of Res and Ptahwer). And during the Second Intermediate Period, they were even used during Kamose's campaign against the Hyksos and became instrumental in making the Egyptian state into a military power. In the archaeological record, a culture known as the Pan-Grave Culture is generally considered by experts to represent the Medjay. This culture is named for its distinctive circular graves, found throughout Lower Nubia and Upper Egypt, which date to the late Middle Kingdom and Second Intermediate Period (1800-1550 BCE). The sudden appearance of these graves in the Nile Valley suggests they represent an immigrant population, while the presence of Nerita shells in many of them suggests their occupants came from the Eastern Desert between the Nile and the Red Sea. Other objects commonly found in these graves include the painted skulls of various horned animals, which are found either arranged in a circle around the burial pit or placed in separate offering pits. By the Eighteenth Dynasty during the New Kingdom, the Medjay were an elite paramilitary police force. No longer did the term refer to an ethnic group, and over time the new meaning became synonymous with policing in general. As an elite force, the Medjay were often used to protect valuable areas, especially areas of pharaonic interest like capital cities, royal cemeteries, and the borders of Egypt. Though they are best known for their protection of the royal palaces and tombs in Thebes and the surrounding areas, the Medjay were used throughout Upper and Lower Egypt. Each regional unit had its own captains. Chiefs of the Medjay are also known from the New Kingdom, but that title is more likely to refer to a person in charge of building and building material procurement. At first, the group just consisted of ethnic Medjay and those descended from that ancient tribal group. This changed over time as more and more Egyptians took up their occupation. Records show that various Medjay chiefs and captains had Egyptian names and were depicted as such. Why this change occurred is not known, but it is assumed that, because of the Medjay's elite status, Egyptians joined them. After the 20th Dynasty, the term Medjay is no longer found in Egyptian records. It is unknown whether the Medjay as an occupation had been abolished or the name of the force had changed. However, there is speculation that a group of people called the Meded who fought against the Kush during the 5th and 4th centuries B.C. might have been related to the Medjay. In the 1932 film The Mummy, the Medjay are mentioned as Pharaoh Seti I's personal bodyguards in ancient Egypt. They are also mentioned in the 1999 remake The Mummy, and the sequel The Mummy Returns (2001). In the 2017 video game Assassin's Creed Origins, the protagonist, Bayek, is considered "the last Medjay", acting as a "sheriff" throughout first century BCE Egypt. ^ a b c d Drake 2011, p. 342. ^ Kemp, Barry (2007). Ancient Egypt: Anatomy of a Civilisation. Routledge. p. 448. ISBN 1-134-56388-4. ^ a b c d Näser, Claudia (2012). "Nomads at the Nile: Towards an Archaeology of Interaction". In Barnard, Hans; Duistermaat, Kim (eds.). The History of the Peoples of the Eastern Desert. UCLA Cotsen Institute of Archaeology Press. pp. 81–89. ISBN 978-1-931745-96-3. ^ a b "Pan-Grave Culture: The Medjay". University of Chicago Oriental Institute. Retrieved 7 June 2018. ^ Fritze, Ronald H. (25 November 2016). Egyptomania: A History of Fascination, Obsession and Fantasy. Reaktion Books. p. 363. ISBN 9781780236858. ^ Kirby, Alan (May 1, 2009). Digimodernism: How New Technologies Dismantle the Postmodern and Reconfigure Our Culture. A&C Black. p. 134. ISBN 9781441175281. ^ Cacho, Gieson (24 June 2017). "How Ubisoft fixed combat in 'Assassin's Creed Origins'". The Mercury News. Retrieved 6 August 2017. Players take on the role of Bayek, a Medjay, which is essentially the sheriff of the day. Breasted, J. H. (1906). Ancient Records of Egypt, part one. Chicago. Gardiner, Alan H. (1947). Ancient Egyptian Onomastica. 1. Oxford University Press. Shaw, Ian (2000). The Oxford History of Ancient Egypt. Oxford University Press. ISBN 0-19-280293-3. Steindorff, George; Seele, Keith C. (1957). When Egypt Ruled the East. University of Chicago Press. Wilkinson, Toby (2005). Dictionary of Ancient Egypt. Thames & Hudson.